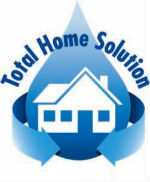 Total Home Water Solution – Better water at every faucet! Bundle and SAVE over $250 annually! Whole House Filtration (reg. price $15/month) *Whole House Chlorine Removal is an option, ask your Culligan Man for details! All Parts, Service, Filters, and FREE Softener Salt (delivered) are included. *Installation of water softener is based on time and material. No two installs are the same. Onsite assessment is required to determine cost. Softeners can be purchased. Ask your Culligan Man for details. Just Soft Water – Soft water ​cleans better, ​s​aves time, money and energy. All Parts, Service, and FREE Softener Salt (delivered) are included. *Installation of water softener is based on time and material. No two installs are the same. Onsite assessment is required to determine cost. Softeners can be purchased. Ask your Culligan Man for details. SAVE $150 with FREE Installation! Designer faucets available to match your kitchen fixtures. Can be connected to most refrigerators for better water and ice. All Parts, Filters, and Service included. Fill out the form below for pricing options!